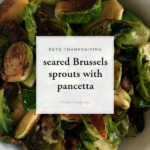 I make these seared Brussels sprouts with pancetta every year for Thanksgiving. 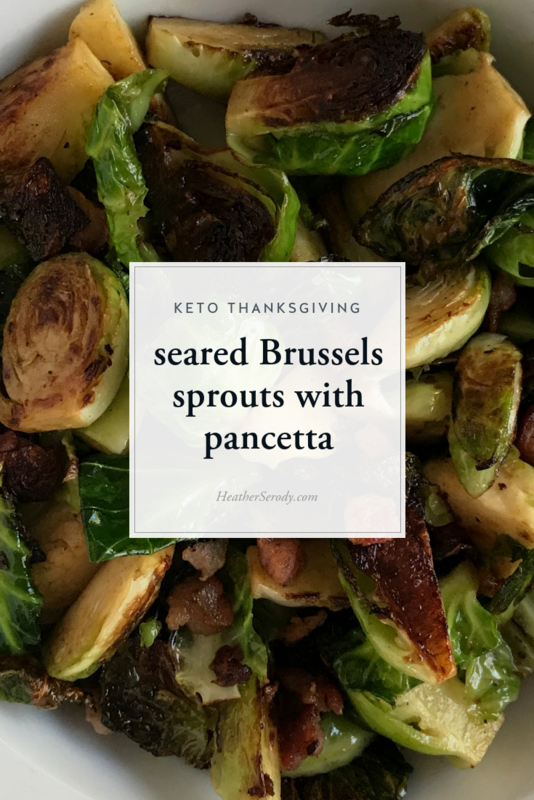 They are so good and crispy tender that they have changed several of my holiday guest's minds about Brussels. They love them now. The secret weapon is, of course, the pancetta. Also, make sure your pan is hot enough to sear the cut sides of the sprouts. Get the best quality pancetta you can find since it makes a huge difference in taste. 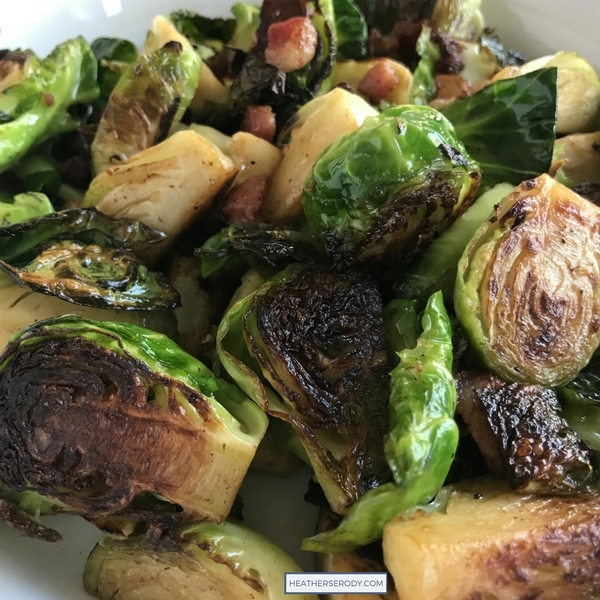 As is the case with all cruciferous vegetables, allow the Brussels to rest for at least 10 minutes before cooking in order to allow the sulfuric compounds to fully release, which will make them less bitter. Brussels can be made up to a day ahead of time. Store, tightly covered in the refrigerator. Before reheating, allow Brussels to come to room temperature. To reheat, place in a covered casserole or serving dish and reheat in a 325-350ºF oven for approximately 30 minutes. 2 lb of brussels sprouts trimmed and halved. If your sprouts are large, then quarter them. Heat a large heavy-bottomed skillet over medium-high heat. Add butter and allow it to melt. Add Brussels and season with sea salt and freshly ground pepper. Cover pan with a lid to help steam the Brussels. Sauté tossing occasionally, until the Brussels are just starting to brown (about 5 minutes). Add pancetta and allow the Brussels to continue to cook in the pancetta fat uncovered until the Brussels sprouts are well browned/seared on the cut sides and softened and the pancetta is crisp. Brussels are done when they can be pierced through with a fork but are not soft.